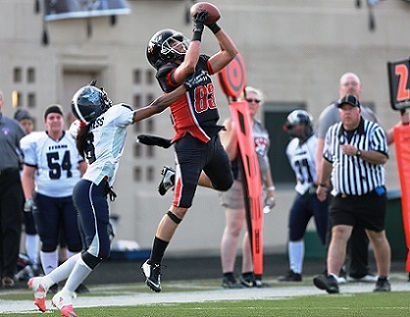 CHICAGO, IL The Chicago Force won their fifth consecutive game of the season, and remained undefeated after a 74-8 win over the Kansas City Titans. A dominant showing by Chicago´s defense, paired with a turnover-free offensive performance made things difficult for the Titans. Chicago's quarterback Rachel Gore finished with 118 rushing yards on 15 attempts, while passing for 168 yards on 12 of 15 throws. 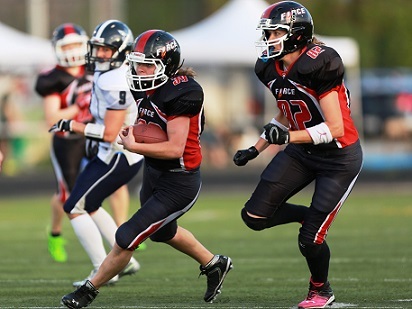 She finished with 286 total yards, including two rushing touchdowns and two passing touchdowns. While Chicago´s rushing attack is their staple, the passing game drew attention as well. Three of Gore´s passes went for more than 20 yards and Jeanette Gray and Jamie Fornal each had a touchdown reception. Brandy Hatcher was critical to the Force offense, accounting for 143 yards from scrimmage and receiving the Offensive Game Day MVP award for her efforts. Kelsey Casey also contributed 72 yards rushing, while scoring four touchdowns - this in addition to her 5 tackles on defense. 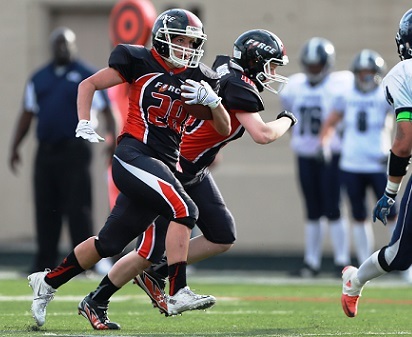 The Force defense consistently put pressure on Titans quarterback Katie Sowers, sacking her four times. All four sacks came courtesy of Sarah Rogers who won Defensive MVP of the game. Kansas City came into the game with a 3-1 record, confident to continue their success on the road. The Titans could not answer on the ground or through the air, with costly turnovers ending four promising drives. Jill Airaki, Melissa Nelson and Casey each had an interception and Angel Smith recovered a fumble. Chicago allowed just 184 total yards and dominated the line of scrimmage. The Force has a bye over Memorial Day weekend and will resume play versus the Boston Renegades on May 30th at Evanston Township High School, kickoff is at 7pm. Boston is the defending National Champion and the rivalry between the two teams is widely known for its intensity. Both teams have already won their divisions and this game will likely determine hosting rights for playoffs. Arrive early and brace for an intense, physical game.